1. Install a charge pump so the pedal can operate off of a single 9V battery. 2. 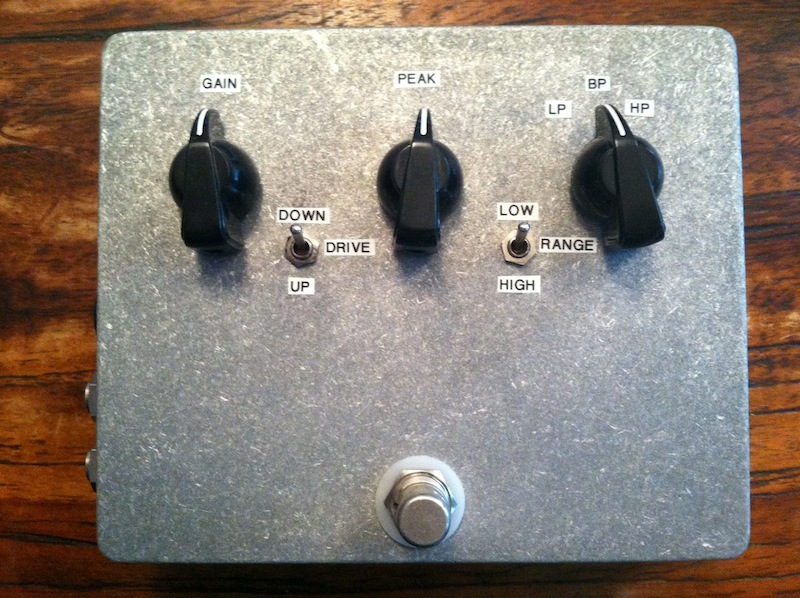 Remove the Gain knob and install a Filter Sensitivity knob. The Gain knob adjusts the volume of the pedal both while on and when bypassed which can be a nightmare for keeping a consistent volume throughout your signal chain. Bypassing the Gain knob would set the volume to unity gain; Installing a sensitivity knob would adjust how wide the filter opens without changing the overall volume of the effect. 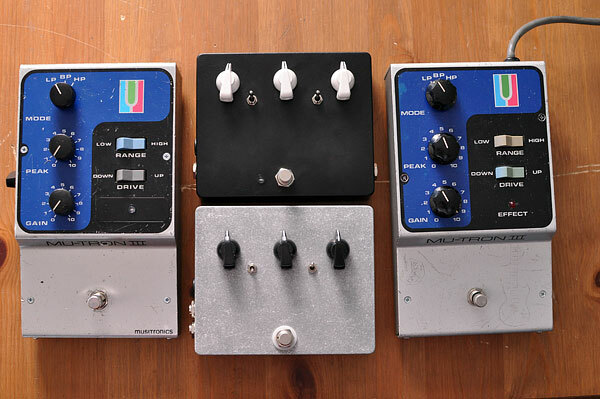 More info on our Mu-Tron mods can be found on the main site.